FT PIERRE, SD – Offering speakers, industry panels and individualized break out sessions, SDSU Extension will host the Power of Women as AgVocates Conference January 19-20, 2018. "This conference is designed for women to learn about the power of advocating for you, your family, business and industry," said Robin Salverson, SDSU Extension Cow/Calf Field Specialist. "SDSU Extension is excited to bring three dynamic and engaging women from North Dakota to Fort Pierre to share their passion for advocating for agriculture." Among those presenting are Sarah Wilson and Teresa Dvorak who work with their husbands and children on their family farms while spreading the word of agriculture. Each have different backgrounds and a unique way of interacting with consumers. They will be sharing some of their experiences and knowledge to help more women have the courage to share their stories. Katie Pinke is a fifth generation farm girl who is passionate about talking about agriculture, rural life and motherhood. As the publisher and general manager of Ag Week she has an opportunity to share the story of agriculture in not only her personal life, but also professional career. Vona Johnson is a certified life and health coach who is going to help us to get organized and stay on track so that we can reach our goals. These women will provide insight into how anyone can become an advocates for agriculture. Participants will leave with tips and ideas to start telling their story about farming and ranching. 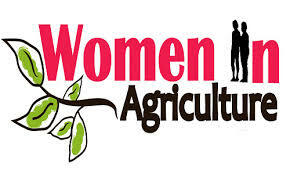 The conference will provide women in agriculture with opportunities to network, learn and grow.